A hidden basement leak can cause serious structural damage to your home. 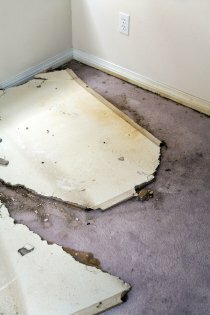 When your basement is exposed to water damage over an extended period of time, a variety of serious problems can occur. Whether you have a flooded basement or simply a wet crawl space, it is important to treat your basement water damage right away. The experts at Island Catastrophe Environmental Restoration offer water damage cleanup in Center Moriches. We have extensive experience with cleaning up a variety of water damages in basements. To help you prevent serious problems in your basement and foundation, here are some tips for preventing water damage and leaking in your basement. Your gutters are responsible for directing rainwater out and away from your basement and foundation. When your gutters become clogged, they can cause water to pool around the most vulnerable outdoor areas of your home. To prevent basement leaks , it is a great idea to keep your cutters fully clean and clear of all debris. To prevent basement leaks, you can improve the level of drainage in your yard. For example, you can change the grade of your yard to slope gently away from your basement. This downward slope will prevent water from pooling up around your basement areas. In order to make sure that your yard has the proper drainage, you can check to determine whether the highest part of your soil is at the base of your home. Water damage can be caused by cracks in your foundation. To help prevent the formation of foundation cracks, it is a good idea to plant large trees at a safe distance from your home. When a tree matures, its roots can cause cracks and breakage in your foundation. By planting trees far enough away, you can rest assured that your foliage is not creating a hidden basement flooding issue. Mold is a common nuisance for many homeowners. While mold may seem like a minor annoyance, this unsightly problem can actually pose many serious health risks to yourself and your loved ones. When mold is growing in your home, it releases hazardous spores into the air. For this reasons, it is essential to schedule a professional mold removal service for your home at the first sign of a mold problem. At Island Catastrophe Environmental Restoration, we offer mold removal in Center Moriches. Our mold removals and other services will leave your home safe and clean for occupancy. To highlight the advantages of scheduling a mold remediation service for your home, here is a look at some important information about household mold. Mold grows in damp, moist areas. If your home is suffering from water damage or a flooded basement, these conditions will create the perfect environment for mold to grow and thrive . During a mold inspection, a technician can identify the location and causes of mold throughout your home. 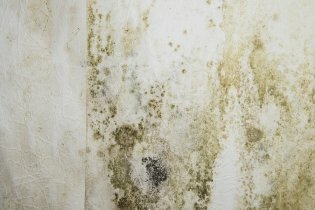 Mold is associated with several serious health conditions. For example, exposure to black mold has been linked to serious respiratory problems and allergic reactions. When a person comes into contact with mold, he or she may have itchy eyes, a runny nose, or a skin rash. Mold can also worsen symptoms of preexisting medical conditions, such as sinusitis and asthma. In order to safely treat a mold problem in your home, it is a great idea to contact a mold remediation company. The technicians that work for a mold removal service will use the proper precautions and techniques when removing mold from your home. By trusting your mold removal to the professionals, you will be able to rest assured that your home is totally clear and free of a mold problem.